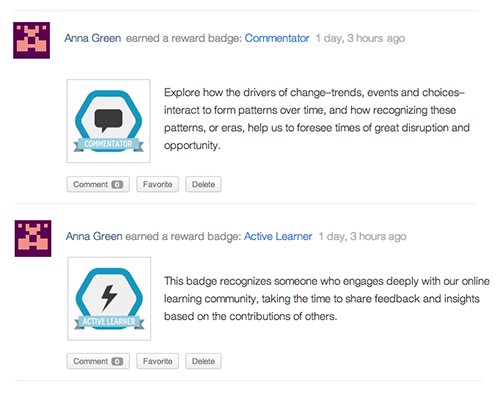 BadgeOS™ Empower BuddyPress site members to earn badges for community activity, such as discussion participation, group membership and other social activities. The “BadgeOS Community Add-on” integrates BadgeOS features into BuddyPress and bbPress. 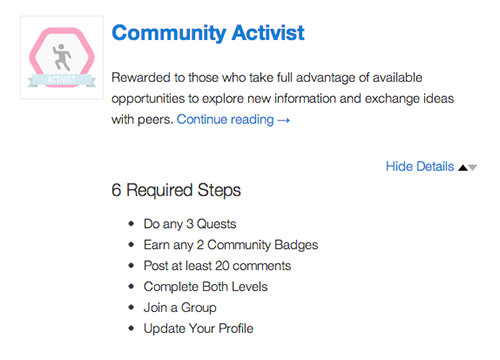 Site members complete achievements and earn badges based on a range of community activity and triggers. This add-on to BadgeOS also includes the ability to display badges and achievements on user profiles and activity feeds. 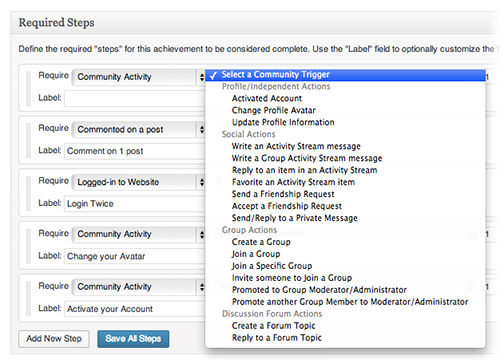 And all created and earned badges sync automatically with each user's Credly account through Open Credit integration. Learn more and download the Community Add-on for BadgeOS and BuddyPress.